"That is not dead which can eternal lie, And with strange aeons even death may drive." If you’re a Ford enthusiast who subscribes to Road & Track magazine, then you’ll want to mark your calendars for next Tuesday. 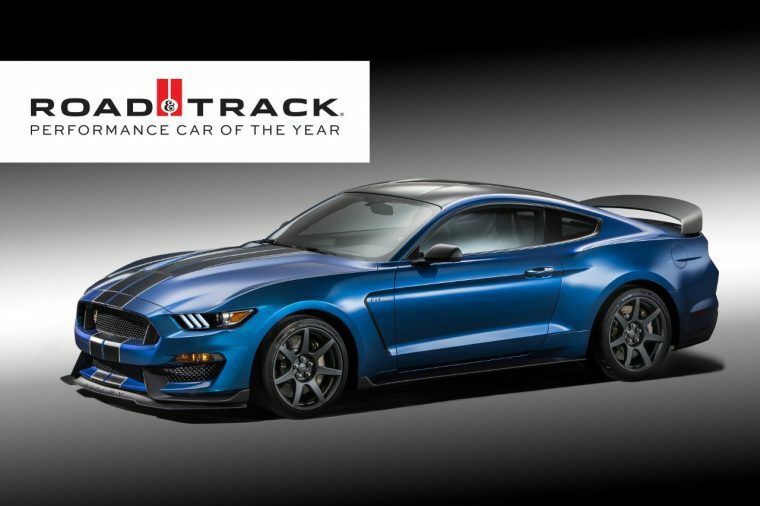 November 17th sees the release of the December/January issue, wherein the Ford Shelby GT350R Mustang is named the 2016 Road & Track Performance Car of the Year. If you could summon some sort of Lovecraftian dark magic to combine the best parts of the other seven cars in this test—the Bentley’s on-road poise, the Cadillac’s vivacious chassis, the Merc’s bluff-nosed retro charm, the Cayman’s accessible limits, the Ferrari’s auditory drama, the Corvette’s wide-hipped machismo, and the Viper’s sense of purpose—then what would appear in the swirling mists would be, not Cthulhu the Great Old One, but Shelby the Baddest Mustang. Our winner by a runaway vote, the Ford Mustang Shelby GT350R is, quite deservedly, the Road & Track 2016 Performance Car of the Year.